Graham is a highly experienced and registered Chartered Accountant (Zimbabwe) who qualified with Deloitte in 1978. He has broad experience in both Industry and Consulting. 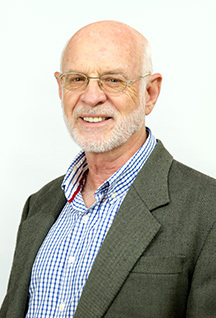 Graham holds a Master of Social Science degree in Economics and is a member of several professional bodies including Institute of Chartered Accountants of Zimbabwe (ICAZ), Public Accountants and Auditors Board (PAAB) and the Zimbabwe Accounting Practices Board (ZAPB) of PAAB. He spent several years with PwC (formerly PricewaterhouseCoopers)as Associate Director (technical and education) in Harare. He has held positions as Scotia Group financial director, managing director, and chairman; CAPS Limited (public listed company) non-executive director; and directorships of various private companies. He is an Executive director, chief finance officer, company secretary and shareholder of Perance Enterprises (Pvt) Ltd, the holding company of PER Group Ventures (Pvt) Ltd and holds the same positions in PER Group Ventures.